The HAPITM ChromeBook extension provides integrated access to any internal file shares or personal computer file systems from any ChromeBook device without the need for VPN or any additional hardware or software. 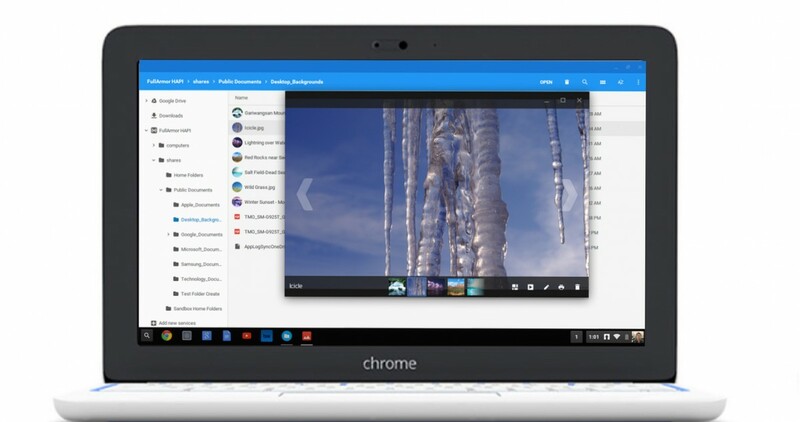 The extension can be downloaded from the ChromeBook online store and utilizes secure single sign on technology to provide seamless access to on-premise or remote files. The extension is also integrated with popular cloud file storage services such as Box and Dropbox so that on-premise files and folders can easily be accessed and moved between cloud and on-premise storage.